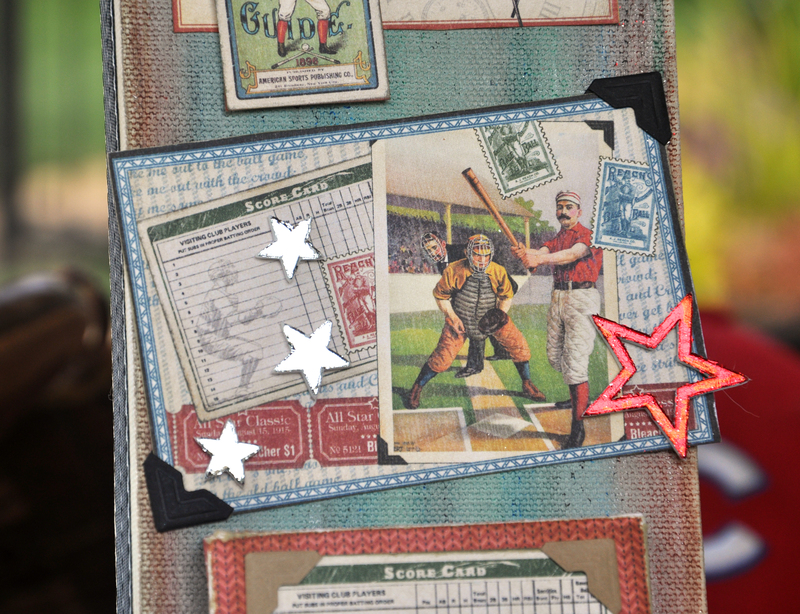 This entry was posted in Altered Art/Mixed Media, Announcement, SCRAPBOOK ADHESIVES BY 3L and tagged blog hop, canvas, Clearsnap, Design Memory Craft, Faber-castell, Gelatos, Graphic 45, May Arts Ribbon, Ranger Ink, SCRAPBOOK ADHESIVES BY 3L. Bookmark the permalink. Wow! Wonderful job! So pleased! Love this for a man or boy gift! Thanks so much for sharing! This a great project for boys of any age. 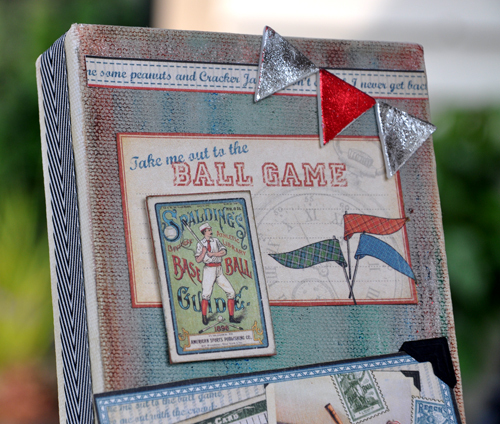 We are football fans so I guess I would have to adapt the projects or wait til G45 comes out with vintage football paper. LOL. Thanks for sharing. I love this Good Old Sport collection and what’s been done with it! Great project! Love that paper line! Great project! Wishing you a happy weekend! Terrific job!!! Love canvas projects. Great idea for using canvas and so fitting for the men in our lives! This makes me want to go to the park and see a game. nothing better than a lemonade and some sunflower seeds. I have a couple of nephews that both play cricket and Aussie football so this project would be ideal for birthday/Christmas gifts. Thank you for sharing your fab project. What a great project. Love the new Graphic45 papers! I LOVE this project Beth! Awesome! I really like this project! 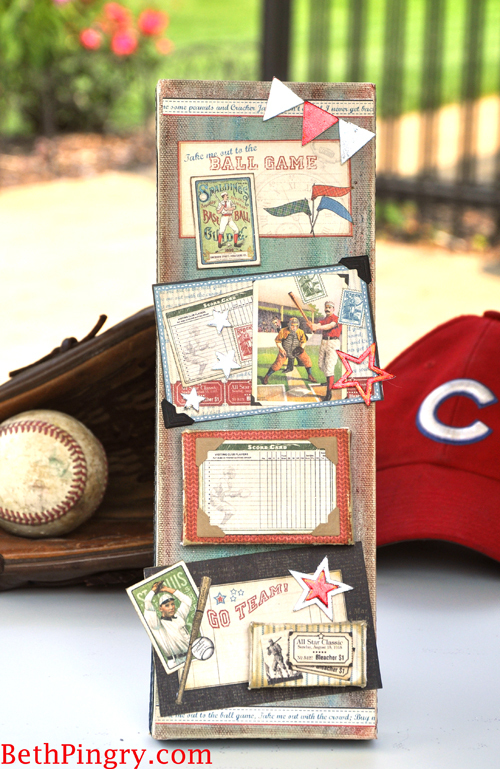 I have a son who is so hard to find a gift for, this would be great as he is a hug baseball fan! Thanks for sharing! Wow – so pretty and so creative. Beautiful. What a great canvas project! I love the papers and dimension on it! I love your use of the paper, embellishments and especially the dimension you achieved. Great use of the products, and ideas i am so going to steal!!!! WOW, your canvas makes a wonderful decoration for any boys room. 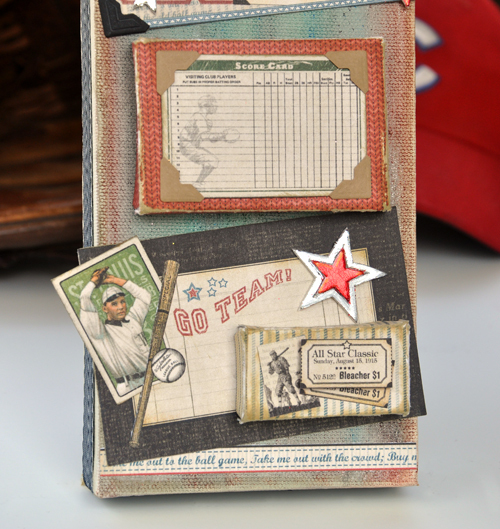 A great use of the Good Ol Sport collection and the adhesives. Wonderful decor for the man cave! Fabulous project and great to see you are using some Gelatos 🙂 Perfect addition to the Man Cave! Wonderful job! I really enjoyed seeing a project for the guys in our lives. Thank you! Your canvases are very nice, and I love all the little details you’ve added to each piece. Very nice. I wish they had come out with this line years ago. Both boys are out of the house now, but this would’ve been cool to make for their rooms. My Grandsons would so ENJOY this Sport Theme!!! Thanks for Sharing!! Nice to see more wonderful projects for the guys! These are so awesome!! I really like the way you used the smaller canvases to add even more dimension!! I am going to have to do something similar for my hallway!! Thanks for the inspiration! Great idea. 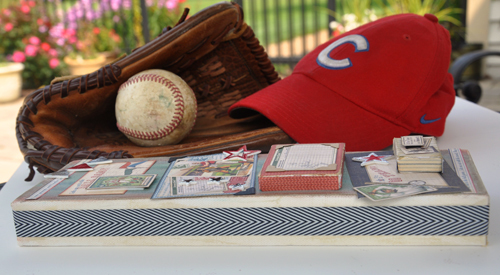 So many keepsakes could be put on this project and be on display during the year. Next year start another and put this one away as a memory. Fantastic project. Very Nice! Love the paper! Love the use of the canvas! This is such a great paper line. Love your project. What a cool canvas creation! Love the idea of using a canvas for Good Ol Sport creation. Wow! I hope you get some girl time on occasion. Very superb project, I’m sure your boys will love it.